Garden last Spring . . I like the stripes in the lawn, has a nice effect overall. Thanks Thrupenny - it hadn’t had time to get messy, as the landscaping was only finished in mid April! Your welcome I bet those plants have filled out now. 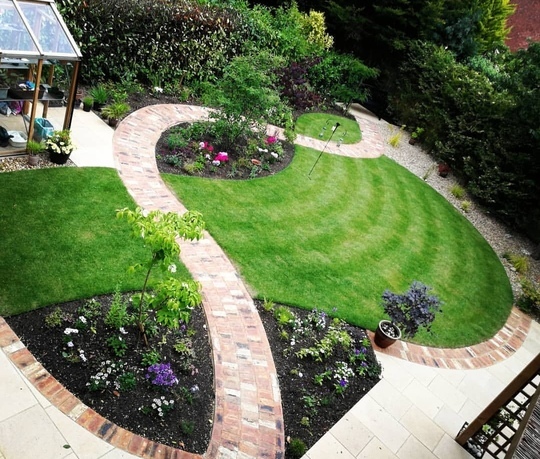 I liked your garden right from the start, it is a lovely, imaginative design. The pathways are so pretty. It looks really nice. A great design. Thank you Sheila, I do love it!